Okay... don't judge me. But yes it is true - I have bought one of the One Direction Kiss You lipsticks from MUA! I saw these a while ago and was actually really impressed when I first had a look, although I have to say I was definitely the oldest person there looking through the stand and I may have had a few looks of some tweens haha! But for me it's not about the band, it's about the make-up! Now I do like myself a bit of 1D (Zayn to be precise), I can't say I am a huge fan girl - but I do like them and their music! This shade is called "Rock Me" and it is the Louis shade! I really liked all of the colours but thought I'd just pick up 1 to start off with. 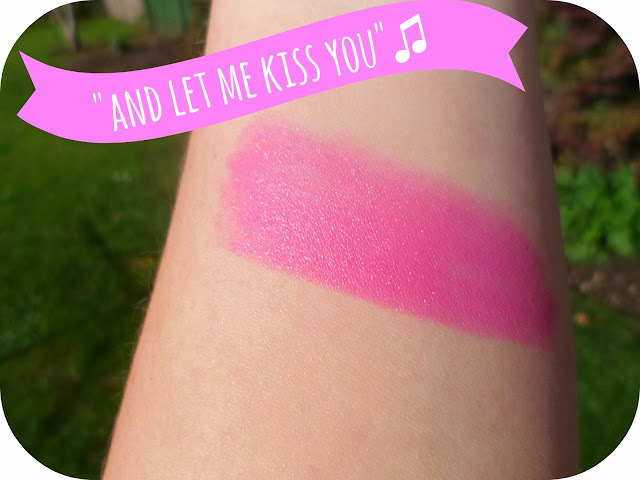 This is a gorgeous baby lavendar pink colour, such a pretty and original shade! I have to say I love the packaging and the fact the lipstick is embossed with "1D" and " x and o's" it looks so cool and makes it look alot more expensive than it is, I'm impressed boys! 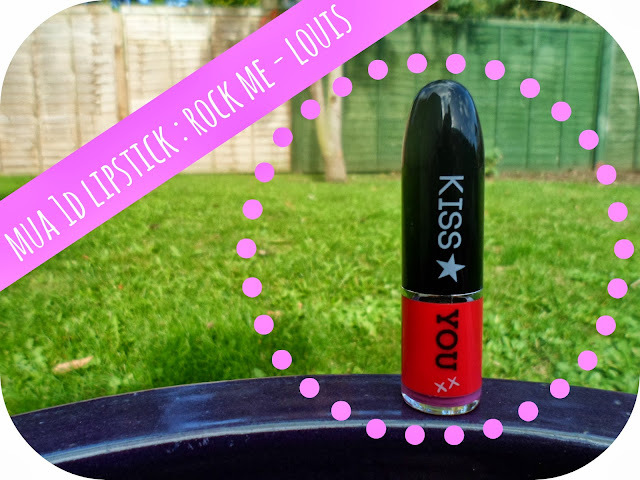 It is really soft and moisturising and once you have it on it stays on really well - although I was sad to use it for the first time and say goodbye to that cool 1D logo on the top! The only thing I'd say is that it does need a few coats to get a good opaque colour. This is perfect for both a casual day-to-day look and for a night out with a full face of make-up - I love it! 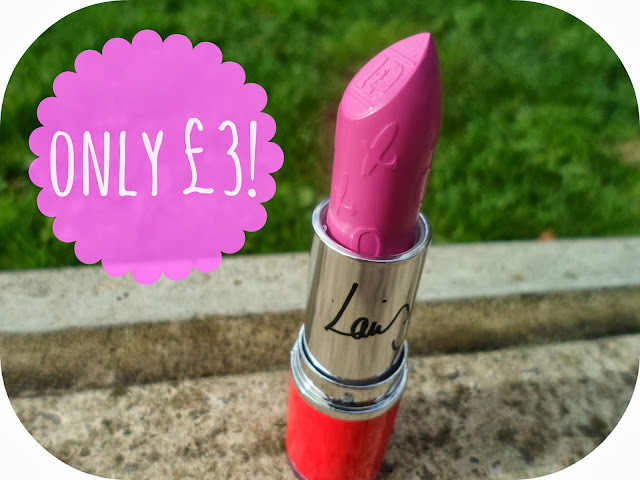 For only £3 I highly recommended these lipsticks - go check out the rest of the collection girls and boys, the other 4 are a total range of shades so there is something to please everyone! 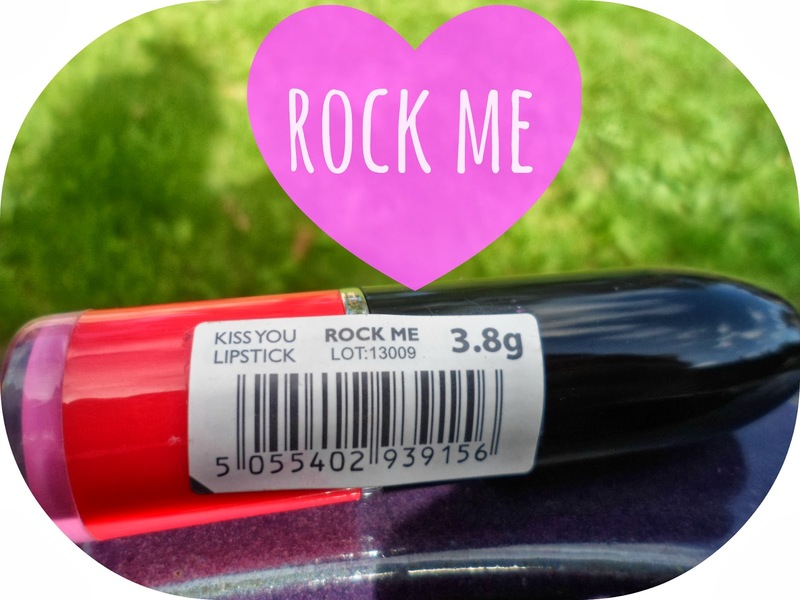 Have you tried any of the MUA 1D Kiss You lipsticks? haha omg I love this! Need to get me some One Direction make up, want to wear a bit of Harry on my face. I really like the embossing, and it's quite inexpensive! That colour is super pretty, love it! I'm a bit scared to buy one as people will think I'm a 1D fan...which I'm def not haha. But they look great! I saw the makeup line and thought should I? shouldn't I? but the looks I was getting made me too embarrassed so I left it, I might have to go back now and not care what people think. Lovely colour and great post.